Out-of-control drug prices are a serious problem for every American and every Texan. The Trump administration and many other states have moved to address this problem; it’s past time for our state to join them. One primary driver of high drug prices is pharmacy benefit managers, the little-known but massive out-of-state companies that serve as middlemen between drug manufacturers and insurers — often distorting the market for medications. These companies, also known as PBMs, decide which medicines will be covered by health plans at the pharmacy. PBMs also decide how much to reimburse a pharmacy for dispensing a drug. PBMs also create narrow networks excluding pharmacies, develop limited drug formularies that only include drugs that provide the highest reimbursement to them, and own their own pharmacies. In the process, they hurt small, independent pharmacies like the one I run in North Texas. PBMs penalize patients for using their local community pharmacies; instead, they drive customers to their own mail-order pharmacies. This is known as self-dealing or self-directing, because a PBM will pay different reimbursement rates to its own pharmacy than it will pay to competitors. Patients receive notifications they must fill their prescriptions at the PBM’s mail-order pharmacy or they will pay much higher co-pays. So why do pharmacies put up with it? Because these few large PBMs control almost the entire prescription drug market. Essentially, they tell pharmacies, “take it or leave it.” Not signing these contracts would mean abandoning customers — neighbors — who depend on us. Policymakers across the country are catching on to PBMs' games and taking action. For example, the Trump administration recently announced new rules that seek to ensure the rebates PBMs collect from drug manufacturers (enticing PBMs to cover certain drugs) actually start making their way into the hands of consumers. In addition, many state legislators are scrutinizing PBMs. And the Republican attorney general of Ohio just accused one of the largest PBMs, OptumRx, of overcharging a state agency; he's seeking $16 million. PBMs' practices hurt patients and jeopardize Texas small businesses. Texas needs to join the push for greater transparency and accountability. Fortunately, help may be on the way. State Rep. Tom Oliverson, R-Cypress and Sen. Lois Kolkhorst, R-Brenham, recently filed identical bills to bring significant and needed reforms to PBMs here in Texas: House Bill 2231 and Senate Bill 2261. These bills address one of the most basic, obvious problems with PBMs: These huge companies face relatively little oversight. Right now, pharmacists have no recourse when PBM reimbursements are below the cost of the medication, or when PBMs exclude them from patients’ networks. The bills also would limit assessments of hidden fees and unreasonable audit practices that result in higher costs to patients. And they would help ensure the rebates paid to PBMs are passed on to patients. There are more than 1,600 independent community pharmacies in Texas, and we employ 15,000 people full-time. If passed, the legislation filed by Oliverson and Kolkhorst would go a long way toward curtailing the market manipulations that have allowed PBMs to hurt our small businesses. Meaningful reform isn't really about pharmacists. 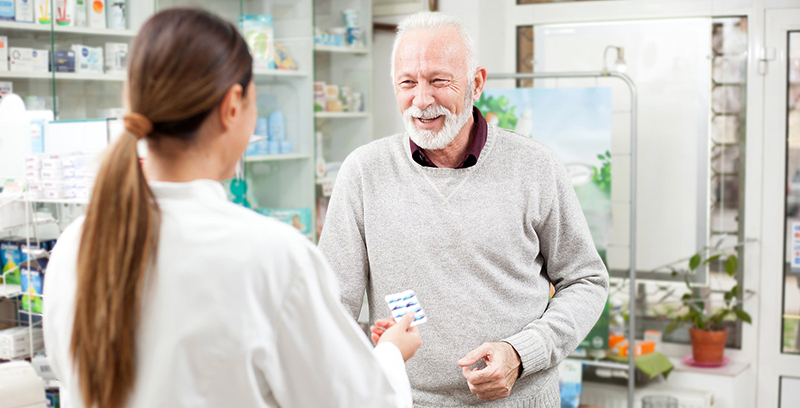 It's about the patients we know and interact with each day — the people who count on their local pharmacist, who struggle to pay for the costly medications they need. Every Texan who uses a pharmacy or needs prescription drugs should support Oliverson, Kolkhorst, and other members of the Legislature who are working to bring these needed reforms to our state. Let’s do what's right for patients: Rein in PBMs’ abuses and make our prescription drug market more accountable.